There’s been a growing interest in this product ever since it was introduced. And it’s no wonder. LATISSE® is the first FDA-approved prescription treatment for inadequate or not enough eyelashes, growing them longer, fuller and darker. LATISSE® solution is a growth treatment for hypotrichosis (inadequate or not enough eyelashes). In fact, it’s the first FDA-approved treatment clinically proven to grow lashes. And it’s the first lash growth product of its kind available by prescription. So you’ll need to talk to your doctor to see if it’s right for you. 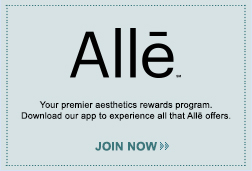 LATISSE® was created by Allergan. In 2001, Allergan developed a medicated eye drop to treat elevated intraocular pressure. Many patients using this medication also began to grow longer, fuller and darker lashes as a side effect. This led Allergan to study the medication's active ingredient, bimatoprost, specifically for growing lashes. After a clinical trial, LATISSE® was approved by the FDA in December of 2008.